Let us help you lighten the load on our small planet! Cost-effective, high quality installations that make the most of your solar, wind or micro-hydro resources. Whether a solar system for your home, or a large off-grid system with multiple renewable energy sources, we have the team to make it happen. We have the team to make it happen. 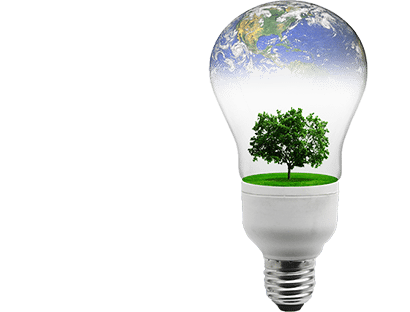 Small Planet Energy is a professional renewable energy design and installation company. Whether you desire a grid-connected solar system for your home or a large, sophisticated off-grid power system harnessing multiple renewable energy sources, we have the team with the expertise, experience and passion to make it happen. We provide professional engineering design and electrical contracting services under one roof. You can be assured of a cost-effective, high quality installation that makes the most of your solar, wind or micro-hydro resources. We service the southern half of the west coast of British Columbia including Vancouver Island and the adjoining island communities, as well as the Lower Mainland and the Sunshine Coast. 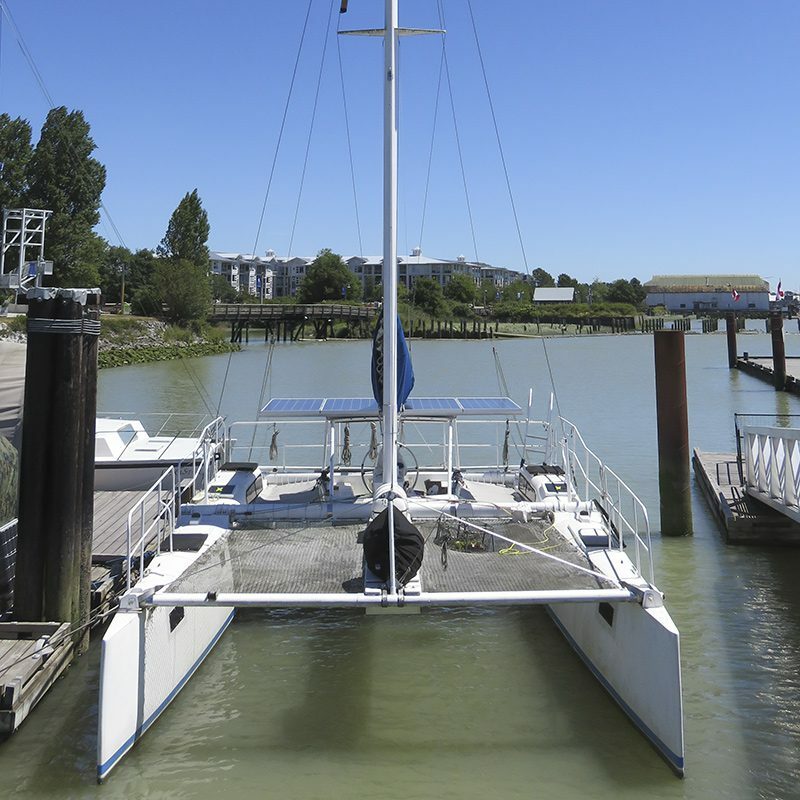 The Aerial Sea is a solar/electric catamaran, moored at the future home of the Salish Sea Center for Sustainability. Jarek Kubacki combines his skills as an electrician with his knowledge of renewable energy system installation and mixes in a solid blend of rural adaptability. These are the essential elements of a successful off grid PV system installation. I’ve been in the PV business for almost 30 years and in that time I’ve seen a wide variety of examples of workmanship, Jarek’s work is always on par with the best. 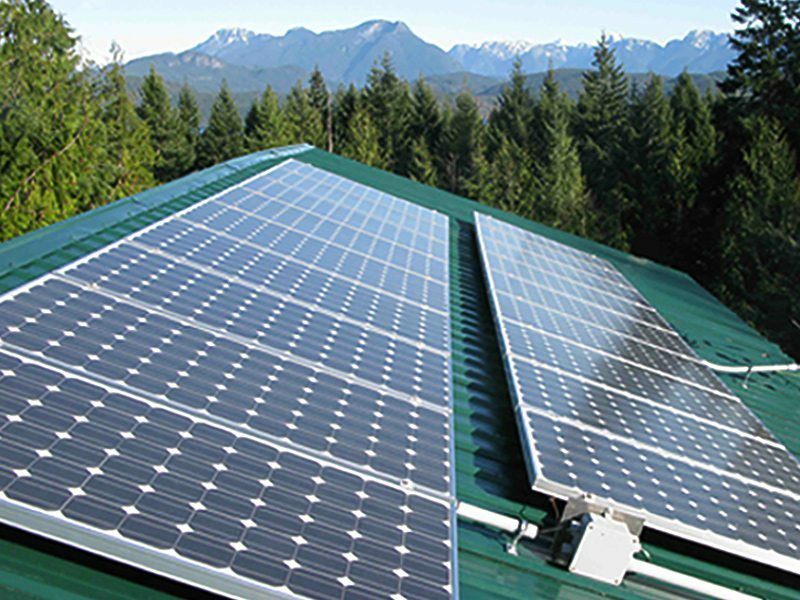 This is the first solar grid-tie installation in BC to utilize microinverters. Designed and installed by Small Planet Energy. Click below to view this project’s real-time energy production! We are highly trained professionals who specialize in renewable energy. Have a look at our recent projects and find energy solutions for your home or business. Fill out our assessment form with your site information. We’d love to hear from you! Inquire about our services or upcoming seminars.